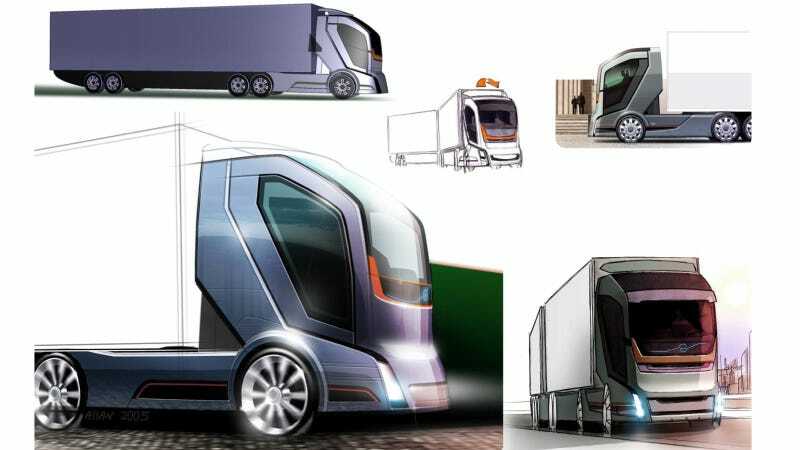 Draw The Volvo Semi-Truck Of 2050, Win A Trip To Sweden! To commemorate the 200,000th Volvo truck to be registered in the UK (what?) the company's throwing a little design contest: draw the coolest 2050 Volvo commercial hauler and they'll bring you to visit Gothenburg, Sweden and meet the design team! Seems kinda random, but if you're going to spend all day doodling trucks why not send one in? Here's Volvo's official website for the contest, looks like there's a winner for kids under 11, 11-18, and over 18.